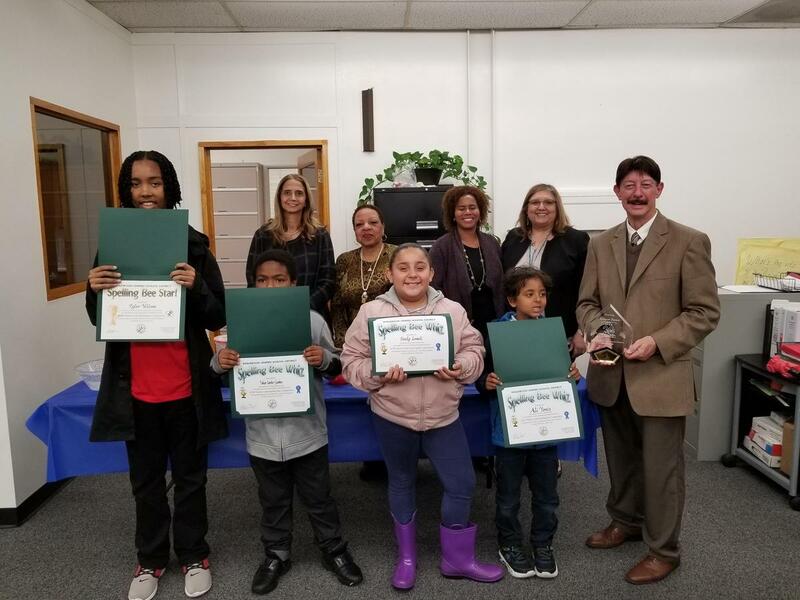 Inglewood Unified School District students from grades 1-12 were honored at the March 6th board meeting by State Administrator Dr. Thelma Meléndez and presented to the community as the 2019 winners of the Annual District-wide Spelling Bee. IUSD hosts the yearly event as an academic enrichment activity promoting awareness about the meaning and origins of words. This year’s Spell-Off winner was Melcinth Memeh, a fifth-grade student from Kelso Elementary School. Melcinth will advance to the Los Angeles County Elementary Spelling Bee uprooting last year’s seasoned champ Tyler Wilson, a seventh-grade student from LaTijera Academy of Excellence Charter School, who represented IUSD last year. The County Bee is held each year in March for district-level spelling champions in grades 4 to 6. Each district in the county is invited to send one district winner to compete in the county competition. Family members, friends, teachers, and administrators are on hand for the nerve-wracking competition that tests the skills, smarts, and stamina of super speller kids! The Spelling Bee is an extension of Inglewood Unified School District’s Curriculum and Instruction Department that ensures families have access to a rigorous academic experience focused on teaching for intelligence, understanding, and mastery of the state content standards. Principal Barter, who is also a judge at the county spelling bee adds, “I have found that spelling is a talent, either you have it or you don’t. If you are an excellent speller, you are an athlete in words."